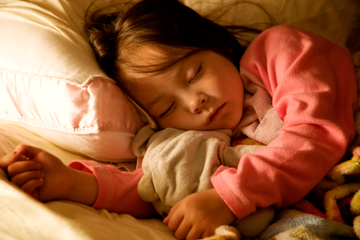 Healthy sleep is critical for children. 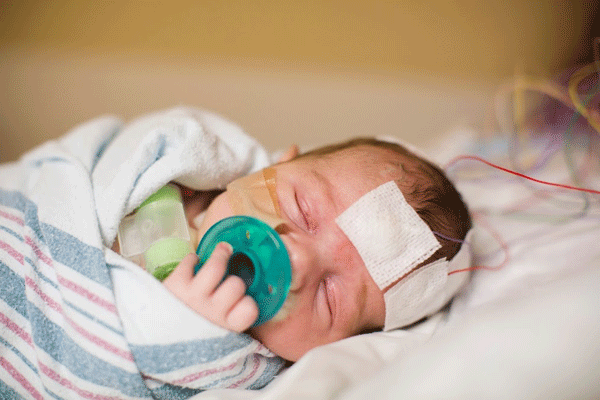 The CHOC pediatric Sleep Center is accredited by the American Academy of Sleep Medicine, and focuses on identifying the physical or behavioral factors that affect sleep, from obstructed airways and breathing issues, to conditions including apnea and narcolepsy. Our mission is to help patients – from newborns to adolescents – and their families understand a child’s sleep disorder and provide specialized treatment, sleep studies and close follow-up care. Our multidisciplinary team includes a board-certified pulmonologists, sleep medicine specialists and neurologists, as well as psychologists and trained sleep technologists. Every family is valued as a central part of the care team and they are consulted every step of the way. Learn more about sleep studies at CHOC. 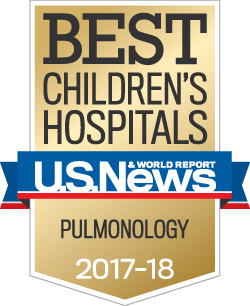 CHOC is ranked as one of the top pulmonology programs in the nation by U.S. News & World Report. 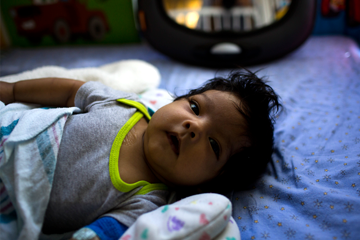 We have two state-of-the-art Sleep Centers — one at CHOC Children’s Orange and one at CHOC Children’s at Mission Hospital. Both CHOC Sleep Centers are accredited by the American Academy of Sleep Medicine, the gold standard by which the medical community and the public evaluate sleep medicine facilities. Each location is located within one of our main hospitals and has access to all other support services, including respiratory services and intensive care. Our Sleep Center team is board-certified in pediatrics, pediatric pulmonary medicine, neurology and sleep medicine. Other CHOC specialists such as board-certified otolaryngologists (ENT) and psychologists may also be involved in your child’s care. CHOC registered sleep technologists are specially trained to work with infants, children and adolescents. Our comprehensive sleep studies evaluate breathing, brain activity, heart activity, oxygen content in the blood, chest and abdominal wall movement, muscle activity and the amount of air flowing through the nose and the mouth. We also perform CPAP/BiPAP titration studies to fit for a proper mask size and calibrate air flow while your child sleeps. We provide outpatient specialty care for kids who have sleep problems but don’t require a sleep study, and for kids who require CPAP/BIPAP services. These conditions can occur on their own, or as a result of other conditions such as muscular dystrophy, Pierre Robin syndrome, chronic lung disease, obesity, craniofacial abnormalities, Prader-Willi syndrome and cerebral palsy. At CHOC, we are also available to help your child overcome these sleep issues and learn new habits. Our sleep psychologist provides a personalized treatment plan for each patient and family with the goal of eliminating barriers for optimal sleep hygiene and environment. We first determine what is causing the sleep disorder and then work with your family to adopt behavior modifications, such as defining the target behavior, reinforcing desired behavior, and adopting reward systems. Every family is different, and our specialists make sure to understand and work with your particular situation. A sleep diary will be given to you and your child after your first appointment so we can understand how your treatment plan is working, and make modifications if necessary. Your child’s doctor may request a sleep study to help diagnose a sleep disorder, or a condition related to sleep. Our technologists are friendly, calming and experienced with children. They will do everything possible to make sure your child is comfortable during the study. This video will help you and your child see what will happen during a sleep study at CHOC Children’s. CHOC provides a thorough and multidisciplinary approach and close follow up of our patients experiencing sleep disorders in our two outpatient locations — one at CHOC Children’s Orange and one at CHOC Children’s at Mission Hospital. Our specialty care outpatient programs offer care for all children with sleep disorders, even if a sleep study isn’t necessary. At the CHOC multidisciplinary outpatient program, your child will have access to a pulmonologist, neurologist, psychologist, and other specialists as needed from our more than 30 subspecialties, to determine the best course of treatment for your child’s disorder. Our physicians will treat any underlying medical conditions for your child’s sleep disorder, and our psychologist can help with any behavior modifications needed to learn better sleep habits. Patients who have been prescribed a CPAP, and follow-up care for patients after a sleep study, are also seen in our outpatient program. CPAP is a common non-surgical treatment used to manage sleep-related breathing disorders including obstructive sleep apnea, central sleep apnea and hypoventilation and hypoxemia. CPAP stands for continuous positive airway pressure. If a CPAP/BIPAP mask is recommended, our technologists will work closely with you and your child to learn how to properly use a mask and adapt your lifestyle to it. A CPAP mask pumps air under pressure into the airway of the lungs, keeping the windpipe open during sleep. The forced air delivered by CPAP prevents episodes of airway collapse that block the breathing in people with obstructive sleep apnea and other breathing problems. CHOC offers CPAP/BiPAP titration studies just for kids. A titration study is done in our sleep lab where our sleep team will fit your child’s mask and calibrate it for the best airflow. The goal is to find the right amount of air pressure to prevent your upper airway from becoming blocked. This eliminates breathing pauses in your sleep. Follow-up CPAP/BiPAP care is done in our outpatient program. Our sleep technologists can also download the data on your child’s CPAP/BIPAP and troubleshoot any problems your child may have. For children that are struggling to use their CPAP/BIPAP, our sleep apnea team clinic is here to help. Our sleep team psychologist will join your child’s pulmonologist during the appointment to help your child every step of the way. CHOC uses tried and proven methods to help you and your child be successful with the CPAP. 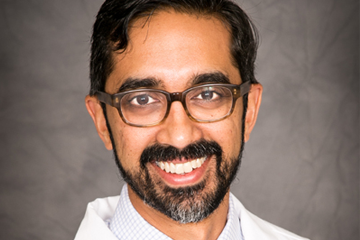 In the Spotlight: Neal Nakra, M.D. If you think your child would benefit from a sleep study, ask your child’s doctor to make a referral to our program. Any questions should be directed to your child’s referring doctor. We are available to answer additional questions or make changes to your appointment. Learn more about preparing for a sleep study at CHOC. Our Mission Viejo location is staffed after 6:30 p.m. To reach us earlier in the day, please call the Orange location at 714-509-8651.